When I return from Limuw—Santa Cruz Island, at first I only want natural light. It is past ten when I rinse the salt water from my hair. Moonlight falls from the open window, a flood of light from above. I am still under the influence of sea tides springing strong. I came to spend four days and nights on the island, to let come what may. I want to be helpful to my friend, eighty now and a deeply loved and respected, elder. Sometimes she needs a tiny bit of help fetching things and getting from here to there. I’m learning as she teaches me how to be helpful and grow old in a beautify way. Used to be, when you walked on the island of Santa Cruz and looked around, all the land you could see was Chumash Indian land. The island was once home to the largest population of island Chumash with a highly developed complex society and life ways. Marine harvest and trade with the mainland. Island Chumash produced shells beads used as currency. Grasses and roots for making baskets and other necessities for living were there for the taking. And so, apparently was the land. Historical records show that by 1853 a large herd of sheep was brought to the island. The Civil War significantly increased the demand for wool and by 1864 some 24,000 sheep over grazed the hills and valleys of Santa Cruz Island. Some of the early buildings from sheep ranching still stand. Now, instead of sheep for the next four days the island is again filled with Indians. We have come to honor the Chumash peoples' annual channel crossing from the mainland to the Channel Islands. A camp village is put up, where basket making, cordage making, song, prayer and storytelling take place. On day one we are about fifty Indians gathered. By Saturday, the day the Tomol arrives, there will be nearly two hundred of us, and the quote “a single bracelet does not jangle alone” describes us. The connectedness we have to each other is so much a part of our lives, it can’t be distinguished from our lives. For the record, I am not Chumash. I’m of mixed blood Cherokee, Lenape, Seneca, German descent. Yet for 40 years I lived in an area that made up the traditional Chumash homeland. I hold the culture, traditions and history of the Chumash people in my heart. For my Chumash friends this is their heritage, their landscape of time. There’s real power here. When we leave the campsite village and walk to the rim of the island first there is silence. Raven and Sea Gulls at the waters edge dip and wheel and dive. Under a sky turned pink we go for a sunset swim. With much island and ocean and so few people there is the lazy wag of space. I float in the sea with my head surrounded by gulls and fledglings. At dawn we wake to sunrise singers. A high sweet trill of voices, abalone beads swaying, carrying songs from the ancestors. The singers are letting us know it is time to gather for sunrise ceremony. Next we wait for the paddlers to arrive. I stand with others on the shore and feel the sun rise from my heart. I’ve known two of the paddlers, a male and a female crewmember, since they were babies, and I’ve watched them grow to strong, beautiful, kind and responsible, young adults. Now I’m a sixty three year old grandmother, moving toward elderhood and I know the world that I will one day leave behind is in good hands. If only in my mind I am again back in 1997, back when these two young paddlers where small kids and the Santa Barbara County American Indian Education Project began the series “Tomol Trek.” After much hard work, the project put together an academy with federal (Title V) funding and the year’s final outcome produced a modern-day recreation of a tomol. Our modern-day tomol was built by the children under the guidance of Peter Howorth, in his backyard tomol building workshop. There was a perfect balance between master and apprentice as the children sanded pieces of the vessel throughout construction. A dozen hands move slowly across the handle, moving towards the paddle end of an oar. Small hands, young hands, skin so smooth and maroon, peach-colored hands, muted brown, every child with a tribal memory circling her or his heart. Remembrance weighs heavy on my mind, as it does for most Native people seeking to affirm cultural identity in a high-tech world. There is a comfort in being with those who understand. Our kids did not have to trade in their Indian values for education; the project carried ancient memory and cultural knowledge into their lives today. And now two of those children—now grown, are making the crossing. The paddlers leave the mainland at three a.m. There will be a careful change of crew three times. The moment the paddlers in the Tomol come into view my heart breaks open and I’m ageless and timeless and feel the welcome arms of the ancestors. The Tomol is brought forth from the sea and there is song and prayer. Back at camp we prepare dinner, while island fox keep a steady eye trained on us. A near Harvest moon rises. We eat, talk, joke, and tell stories of past crossings to the island, and “the old ways” moving through our evening together like dancers, stirring to the same rhythm. All of the people, the paddlers and those that help make the crossing and camp village possible, are honored. The day fades into liquid dusk and moonlight. Time is a continuous loop until our stay on the island comes to a full circle closure. Thankful for what I have been given, yet reluctant to let go, I prepare to leave and make the rounds to say goodbye to everybody who welcomed me. On the boat ride to the mainland we are soaking wet, laughing. A Humpback whale is sighted in the ocean navy blue. In the Chumash language my friends sing in the whale, and she surfaces. At home in earthen shadows, rinsing off the salt water and sand, I feel the light from the moon, full and wan. I braid a pungent memory and fill my lungs and my heart with it, knowing it will permeate my body and cling to my soul as a reminder of what I can feel when we are all together on the Island. © Terra Trevor. All rights reserved. 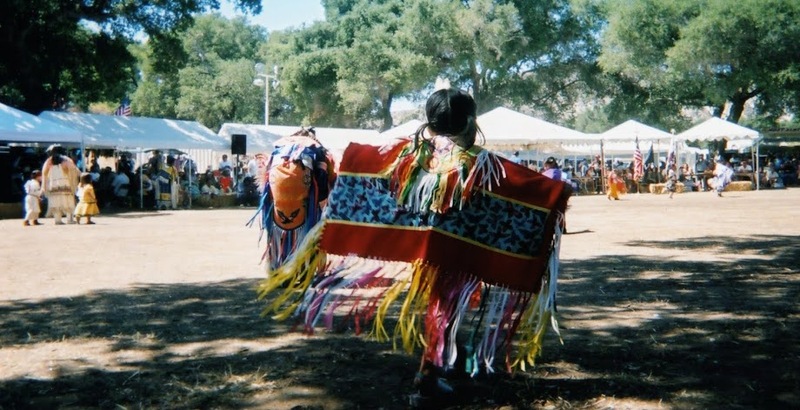 Tomol Evening was first published in News from Native California a quarterly magazine published by Heyday and it also appears in Terra Trevor's forthcoming memoir, We Who Walk The Seven Ways. ABOUT THE AUTHOR: Terra Trevor is a writer who draws from her Native roots and the natural world. Her stories illuminate our humanity, remind us to be open, to connect, to hope, to question, or bring change. 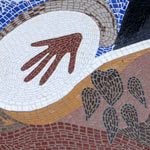 She is known for works in which she uses imagery and lyric prose to address spirituality, family ties, her identity aa mixed-blood and her connection to the landscape.